This journey to Havana, Cuba is 100% LEGAL FOR AMERICANS! To see, feel, and experience is to understand. 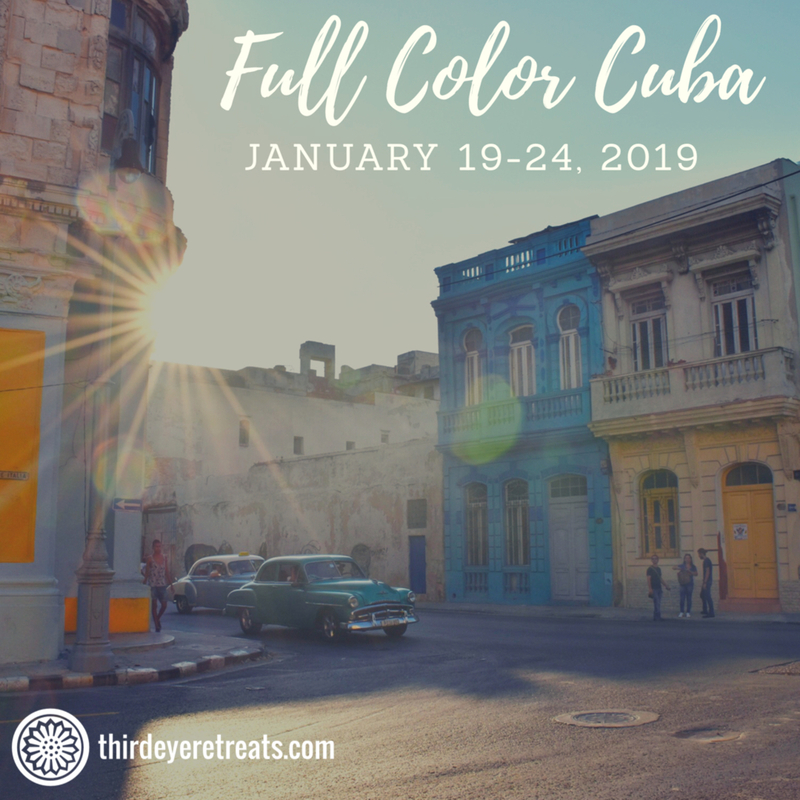 Join Third Eye Retreats founder Karen Shelley for this once in a lifetime journey, and soak up picturesque, vintage Cuba so you can better appreciate the changes that are on the country’s horizon. This is the ultimate Cuba yoga retreat. Our morning yoga class will prepare your senses to fully experience the country’s culture, art, food, architecture, and beaches. In partnership with local guides, we have curated a thoughtful, cultural immersion while leaving plenty of time to enjoy the sunshine of Havana with this people-to-people yoga tour. Have a travel partner who'd like to join you in Havana but doesn't practice yoga? A discount rate is available for travelers who opt out of the yoga. We'll turn our retreat home(s) into our studio(s) for daily yoga practice. Most of our yoga sessions will be in the morning before we set off for the day to explore Havana. Third Eye Retreats offers the best yoga adventures worldwide, and our return to Cuba will be no exception. 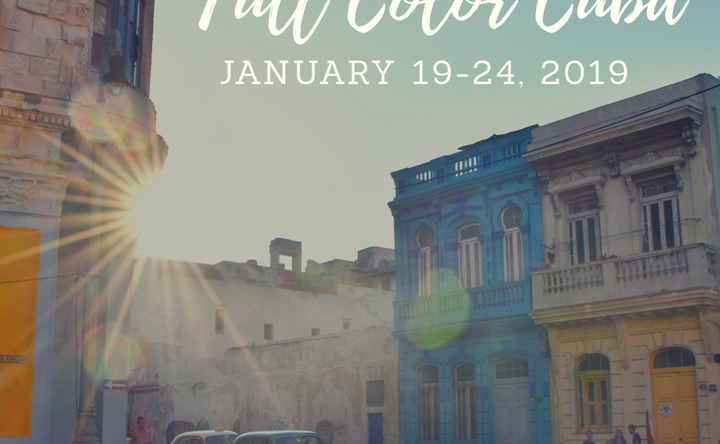 Like all of our international yoga journeys, Full Color Cuba offers a travel experience that supports the local community and lets you enjoy a daily yoga practice. (All yoga is optional. If your travel buddy isn't a yogi and plans to opt out of all the yoga, he or she may receive a $100 discount so you two can still travel and enjoy Cuba together without you having to forfeit your daily yoga!) When traveling to Cuba, it's important to keep in mind that the island is undergoing economic growth and political reform, but this is all an act in process. Change takes time. And visiting Cuba during this time of change is magical, but can also be challenging. Everyday comforts that North American and European travelers can take for granted are often hard to find in Cuba, so pack wisely and bring with you everything you might need. Things like medicine and personal supplies can be hard to come by in Havana. The city is safe, and Cuban people are friendly and outgoing. In our casas particulares, bedrooms will be air conditioned (and so will our private mini-bus as we travel around town! ), but the rest of Cuba may be hot. And get ready to unplug for a bit, because the phone and Internet service in Cuba is not what most of us are used to. Internet access is not available in private homes. You will be able to purchase Internet cards (similar to "phone cards") that you can use by the minute in dedicated Wi-Fi zones like parks and large hotels. (You can also check with your cellular provider to add a plan to your phone while you travel, though this can be costly.) While Cubans take pride in hosting foreign tourists, it's key to set reasonable expectations as you embark on this journey. Cuba is a vibrant country with a culture like no other place in the world. We have no doubt that you'll walk away from this trip enriched. 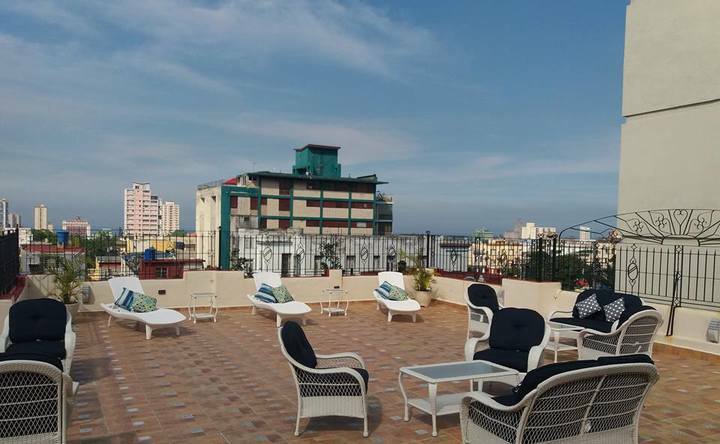 While most of the yoga retreats in Cuba take place at the beach, we feel that Havana is the heartbeat of the country and a visit to this land should include an immersion in the city of Havana. 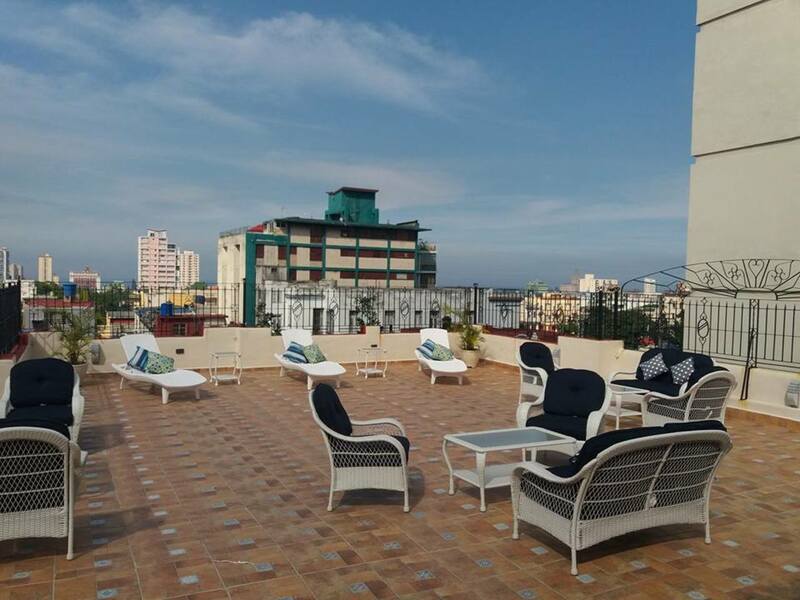 During the retreat, you'll live in the trendy Vedado neighborhood of Havana, one of the city's more affluent areas, which is filled with restaurants, bars, and music venues. Our retreat homes will be in "casas particulares" which are the Cuban equivalent to bed & breakfasts. Depending on our group size, we may be in multiple homes right near one another. 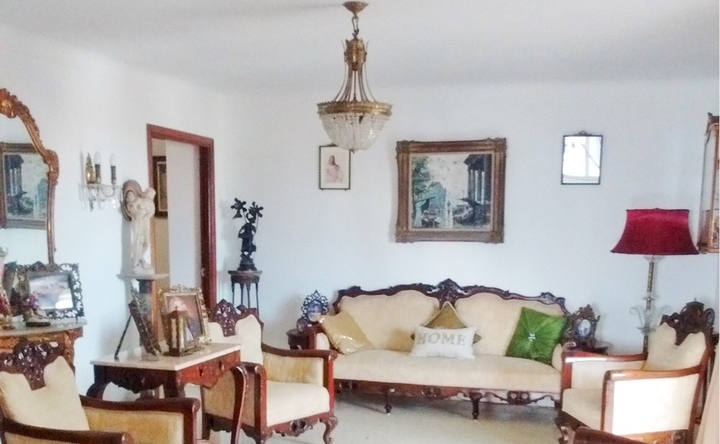 These are homestays in comfortable, private residences, and the photo here is an example of a home that our tour company works with. Each host family lives in a portion of the home but reserves the rest of the home as vacation rental space for tourists. Your host family will also provide you with breakfast. There are multiple bedrooms in each dwelling, and each bedroom has air conditioning and a private bathroom. (Some bathrooms will be inside your bedroom and others may be just outside your bedroom, but each room will have its own designated bathroom.) 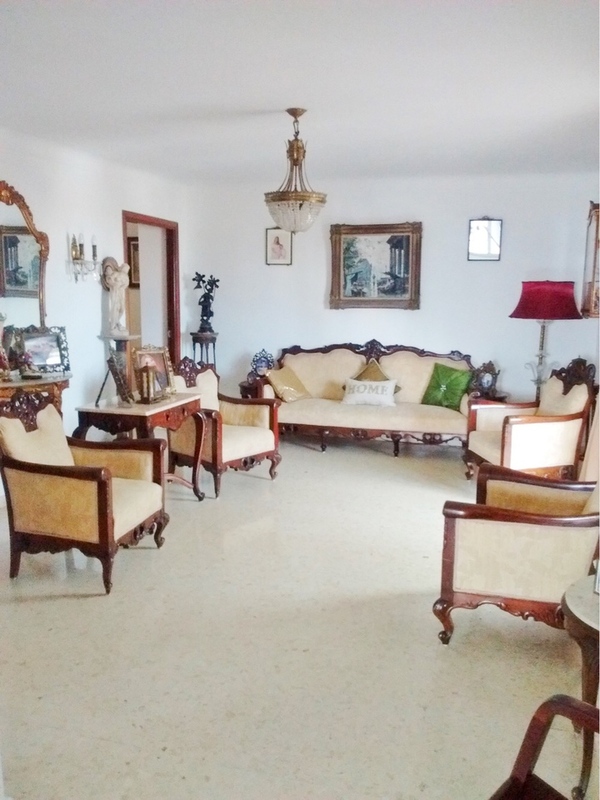 Staying in casas particulares can be transformative as the experience allows you to enter into a Cuban home and have genuine interaction with locals. Casas particulares are notorious for being more comfortable, more updated, and better equipped than Havana's hotels. Most of all, your stay here directly supports your host families. Book a flight to Havana's José Martí International Airport (HAV). Nonstop flights are available from a number of cities in the United States. Third Eye Retreats by Karen Shelley Yoga will provide one group ground transfer between HAV and the retreat accommodations. (Inquire about shuttle timing prior to booking your flight.) For retreat attendees arriving/departing at different times, Karen will provide you with the address for our retreat accommodations so you may arrange for your own taxi. Karen began practicing yoga in 2004 as a way to integrate a healthy balance of movement and stillness into her life. Today, she delivers this balance to her students through studio classes, global yoga retreats, private lessons, and corporate yoga classes. Her vinyasa training was at Kula Yoga Project in New York City under the direction of Nikki Vilella, and she was certified by San Francisco's Judith Hanson Lasater as a Relax and Renew© restorative yoga teacher. Karen weaves energy, fluidity, play, stillness, and tons of hands-on assists into her teaching, and blends a strong, internal metronome with the precision and alignment of Iyengar foundations.Around the world, global yoga retreats with Karen, founder of Third Eye Retreats®, give you the freedom to explore, make lifelong connections, escape from your patterns and habits, and experience your practice in new ways. Karen's yoga retreats are truly one-of-a-kind events. You and your yoga mat deserve a little time away from home and the studio!